McLEOD Peacefully, at Angusfield Care Home, Aberdeen on Wednesday, February 6, 2019, Miriam (nee McPherson), aged 83 years (ex Hydroboard), beloved wife of the late Ian. Much loved mum of Gary and Valerie, mother-in-law of Audrey and the late Derek, devoted nana of Melanie, Louise, Hayley and Matthew and great-grandmother to Josh and Mason. 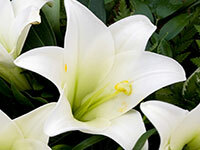 Service at Aberdeen Crematorium (East Chapel), on Thursday, February 14 at 1.45pm. All friends respectfully invited. Special thanks to the staff of Angusfield House for their care and attention.